It is quite reassuring every now and again to deal with clients for whom only the best could do. 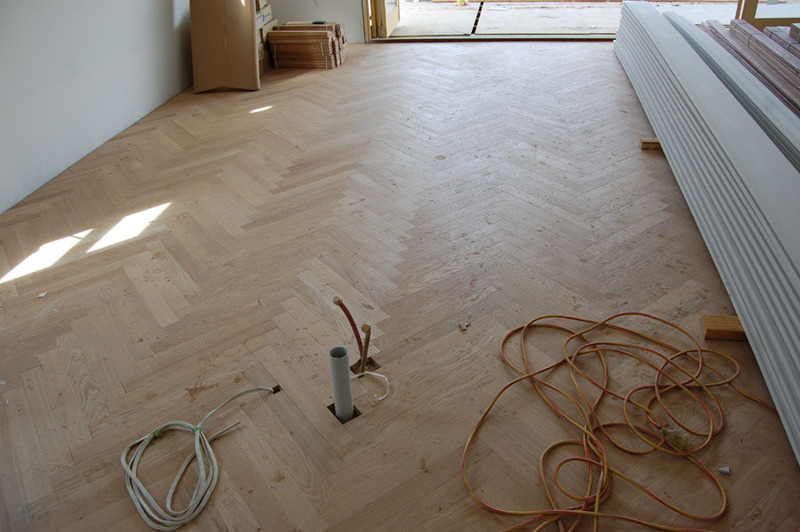 This herringbone parquet floor was sourced from a French parquetry set in the heart of Burgundy, and quite simply, the quality and beauty of the product are obvious. The client wanted long and narrow blades, just like those installed 40 years ago in my family home in the outskirts of Beaune, the Burgundy vineyard capital. 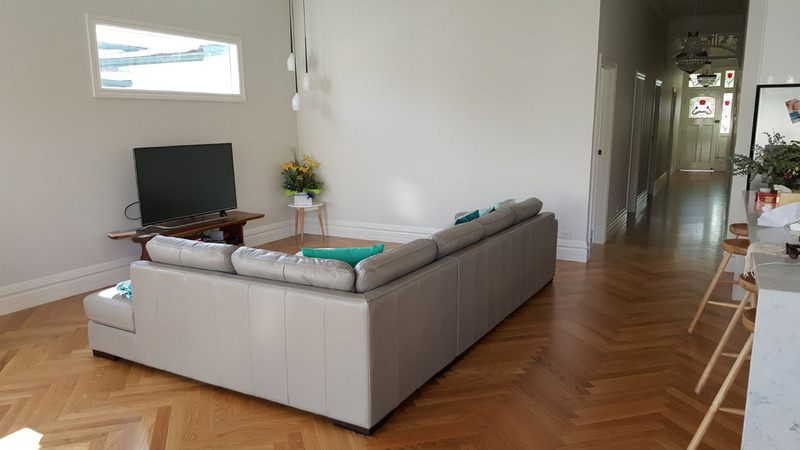 Therefore the choice was very easy: The Good House is the only company in Australia able to source such a quality product at a reasonable price, thanks to its long lasting network of French suppliers. 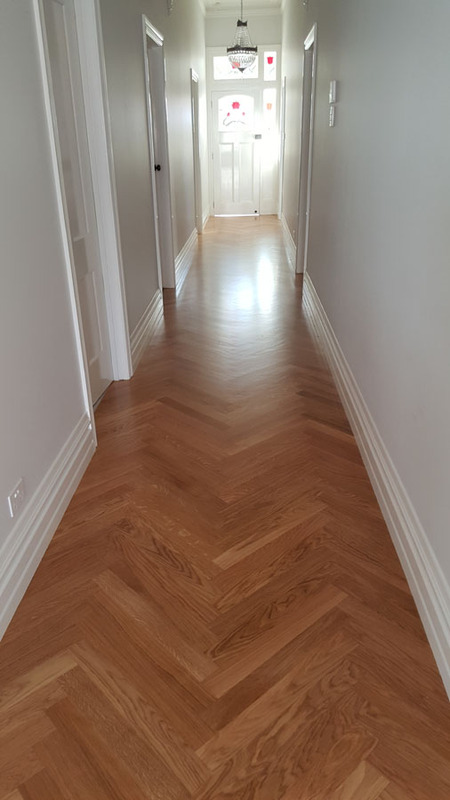 One might think this luxurious timber floor was installed in Toorak or another top end Melbourne suburb but no, it simply is part of a thorough renovation in Thornbury, and as it is 22mm thick, it will truly "support" a happy family for many decades ! 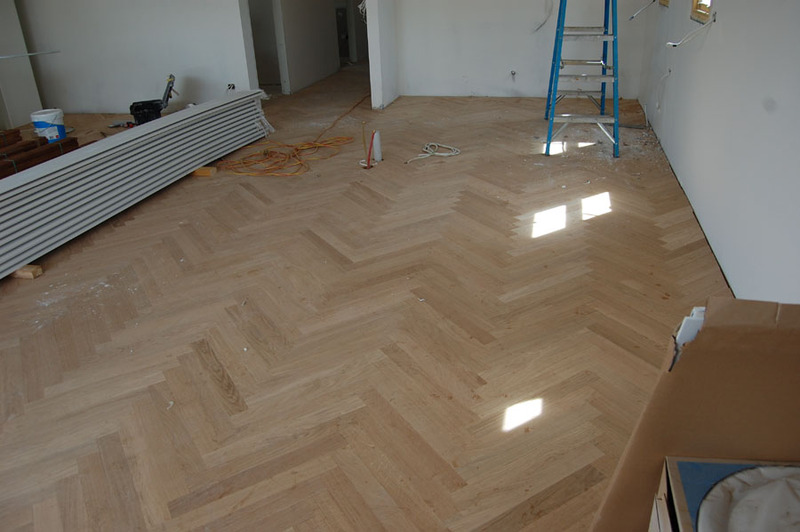 See more photos below taken prior to finishing. 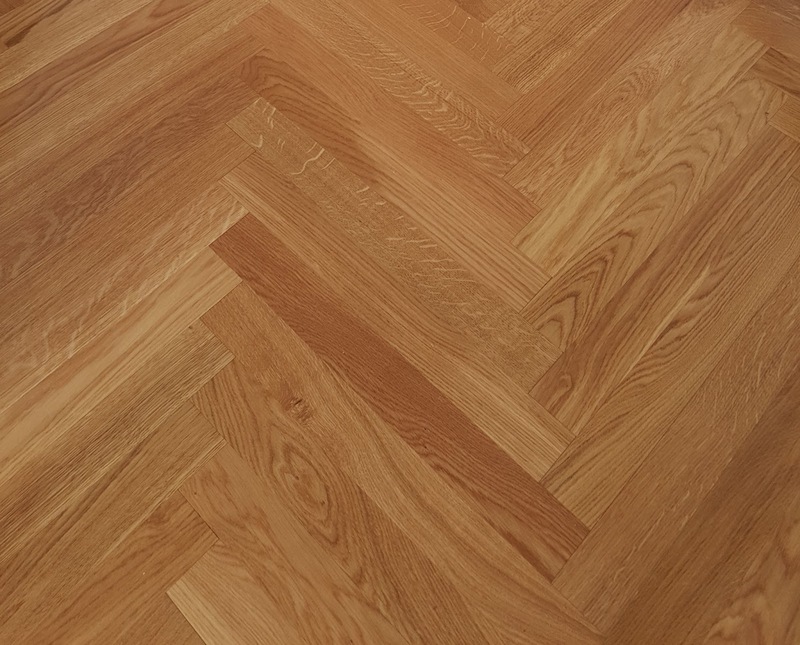 They demonstrate a strong advantage of "Tongue & Groove" parquetry resides in the near perfect levelling between each blades, therefore requiring only a light sanding for an impeccable finish.